The Barajas T1-T2 car park is located very close to the slopes of terminals T1 and T2, 5 minutes from them by minibus and 10 minutes from T4. Parking Barajas T1-T2 is open 365 days a year, is a closed and asphalted car park, monitored 24 hours a day, has CCTV cameras, and offers transfers by minibus throughout the day. 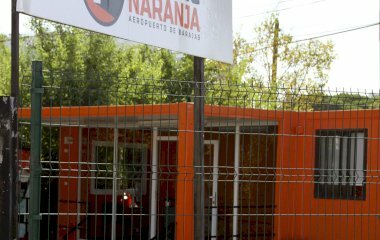 For customers coming from outside Madrid Capital it is advisable to arrive at the Naranja Parking and the airport on the M-50, exit 17, continue to exit 15 of the A2. Naranja Parking is 100 m from the roundabout. Transportation to the terminal is included using the parking shuttle. Come in and out freely. Height: 9m. Width: 3m. Length: 5m.